All of these apply in the context of conflict resolution. Boundaries benefit both client and professional. 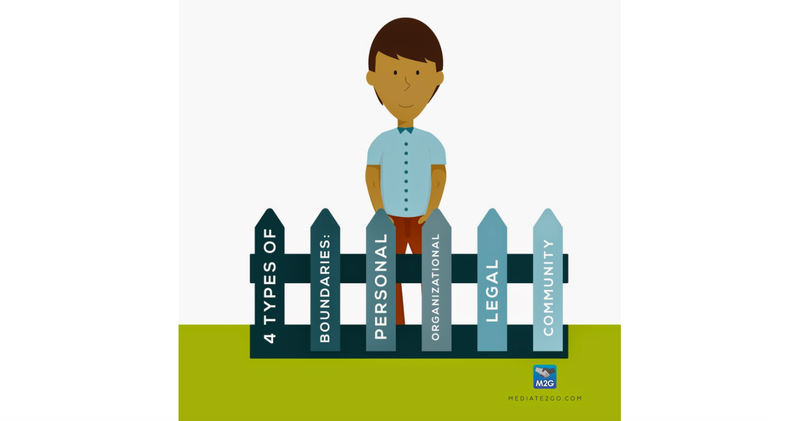 Without boundaries, we are simply other people in the lives of our clients. We might think we are helping, but we are not necessarily encouraging a change in patterns based on the needs of the client. If we expect our clients to be self-leaders in conflict, we need to be self-leaders when helping our clients in conflict. 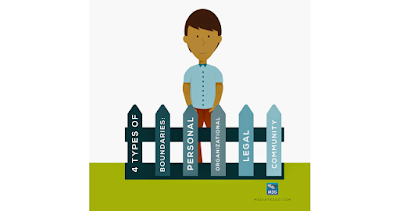 What are the levels and types of boundaries? I can’t do this – I’m worried I can’t help the parties resolve this conflict. I feel annoyed – Something about the client or situation is bothering me. I feel too close – My empathy for the client might be turning into sympathy or the need to please a client. I feel embarrassed – Something said in mediation has embarrassed me directly or indirectly. I don't know what to say – I am not comfortable with silence. I feel rushed – Parties want issues resolved quickly. I want to fix this – I want the clients to have a resolution. I am being pushed into a corner – The client wants me to adjust the process against my better judgement or take responsibility for their issue. I feel pressured to laugh at a client's joke – The client might be trying to get you on their side. My client is angry at me, and I'm getting angry – The client's typical conflict interaction patterns might be manifesting themselves in the mediation room. What can you do as a practitioner? First of all, consider whether your safety might be at risk. Read about safety for mediators and coaches. 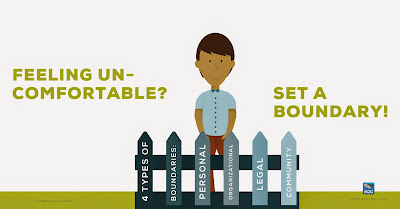 If you feel safe, decide how you will assert your boundaries. Speak to your peers in mediation to get some insights, while respecting your client's privacy and confidentiality. Learn about how to manage your own emotions in the situation to learn how to become confident as a mediator. Remember, you are a model for your client(s), so personal work is key to being a good mediator (How to become a mediator). If you have ideas to share with your colleagues, please add them to this blog. Thanks!